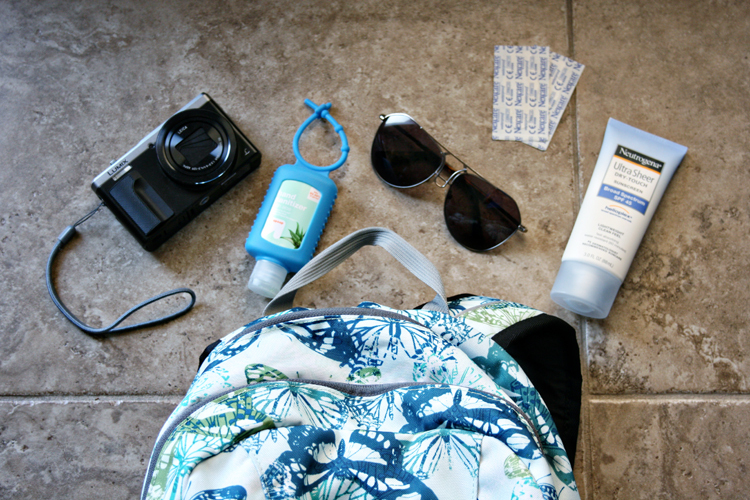 Home » Blog » Packing » How to Pack a Well-Stocked Day Trip Bag – Free Printable Checklist! 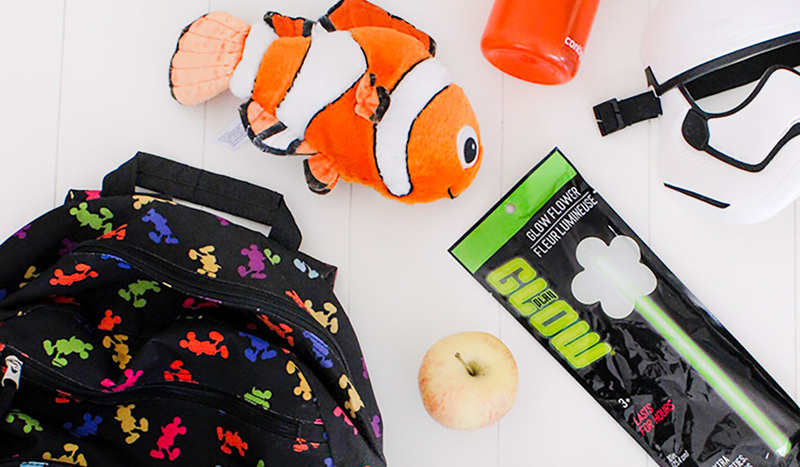 Heading out for a day of adventure but not sure what to bring with you? You don’t want to be left without the essentials but you also don’t want to be overloaded with unnecessary items either. 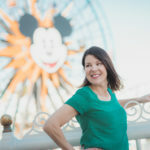 Day Trips TravelingMom has the tips on things to bring on a day trip, how to pack a day trip bag as well as a free printable checklist. 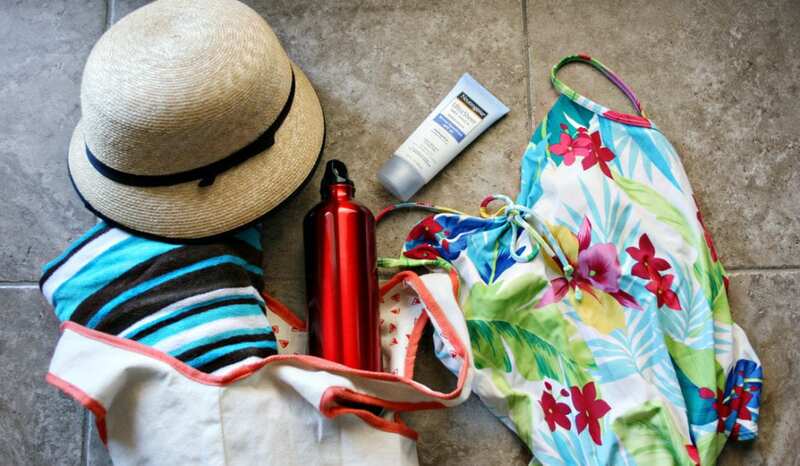 Keep reading for the must-pack day trip essentials. What are the Things to Bring on a Day Trip? One of the best things about taking a day trip is that you don’t have to pack luggage! You can, for the most part, just jump in the car. Or start walking with the clothes on your back and head out for the day. However, there are some considerations to make concerning weather, length of time away, and where you’re going. And for that, you should plan ahead and pack up a day bag for what you’ll need. This is the list of what to take on a day out. With consideration to all of your needs, choosing the bag to bring with you is foremost. Will you be carrying this bag with you throughout the day? Or will the bag be left in your car or kept in a locker? Do you prefer a bag that closes shut like a backpack with zippers or a drawstring? 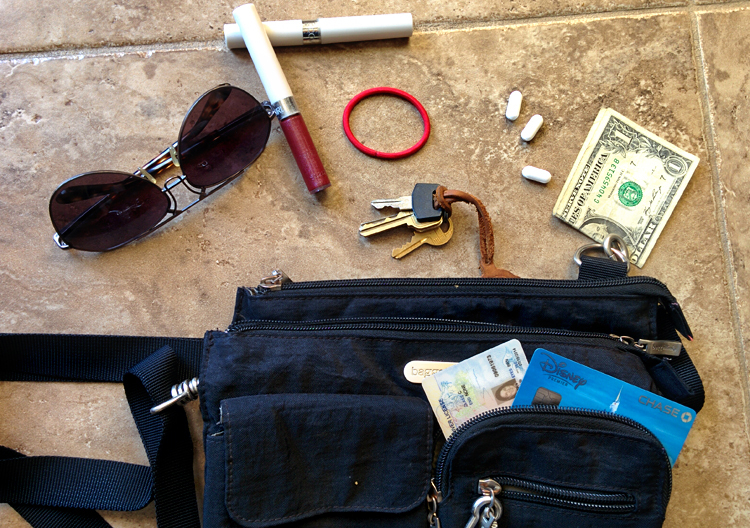 Or do you need something open that allows you to grab and go, like a utility tote? How large will you need the bag to be? Will you be combining all needs into one bag, like towels for the beach? Or will you carry multiple bags to cover different needs, like diapers for the baby? that holds water bottles, snacks and spare clothing. If you have the time and no special agenda, getting “lost” can be a welcome adventure! However, if you’re on a schedule or there are specific sights you want to see, having a printed map can be invaluable. I like to pre-print Google map directions so I have step-by-step directions and not rely solely on GPS. If you have a guide book, bring it along or make a copy of the specific pages you want to refer to that day. It’s unlikely that you’ll need your check book or every department store credit card in your wallet. Lighten the load and only take the essentials. You’ll probably only need your credit card, driver’s license and some cash. If you’ll be spending any time outside, sun protection is a must (yes, even when it’s overcast weather). Pack up sunscreen and a hat that has a protective brim. I never leave the house without my sunglasses. Make sure the kids have them too if you’ll be walking outside.
. At the very least, wear long sleeves to protect your arms from the rays. Don’t forget lip balm with an SPF to avoid chapped or burnt lips. Planning a day trip to the beach? 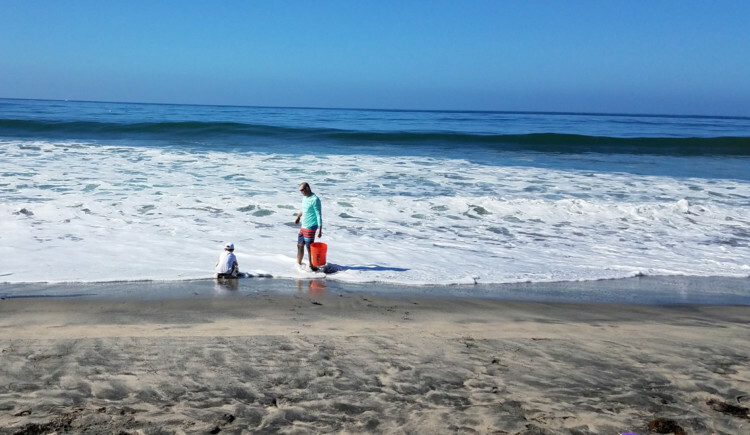 See our ultimate family beach vacation packing list printable. A travel-sized package of tissues is a blessing when sneezes strike. Having a pack of wet wipes is great too, for wiping down dirty hands and faces. Also, don’t forget to bring hand sanitizer. Use it frequently, especially before eating if you can’t get to a restroom to wash up first. When dressing for the day, think about your plans and dress accordingly. This includes what you put on your feet. Will you be getting wet? Wear waterproof shoes and take a second pair of socks. Or bring simple sandals or flip-flops to change into before getting wet. Does your day trip include a lot of walking or standing? Consider packing a second pair of shoes to change in to mid-day. Switching out from closed-toed shoes to sandals can help ease swollen feet. If I’m wearing athletic shoes, I always pack a second pair of socks to change into when my feet are hot and sweaty. I have four kids. So you can bet that I always keep a good stock of snacks in my day trip bag! Purchasing snacks on-site can be expensive and unnecessary if you can bring them yourself. Pack snacks in individual serving sizes so you can hand them out throughout the day. We like homemade trail mix, sturdy crackers and cut veggies like carrots, bell peppers and celery. Pack fresh fruit that won’t get easily bruised along with dried fruits and nuts. Avoid snacks that will melt, like chocolate, or things that get easily broken, like chips. for each person that can be refilled on-site. Be sure to check with the establishment you are visiting before packing in your own snacks; some places may prohibit outside food. and keep them inside your day trip bag. Places like California have banned plastic bags (or will charge extra at the store). Use your totes to hold extra souvenirs or wet clothing. can go a long way if you’re hurting. that will power up several cell phones at once. Don’t forget to pack the cords! Pack your camera and spare battery. The one place my phone battery always dies is at the Disney parks! Click through for a complete Disney World packing list. 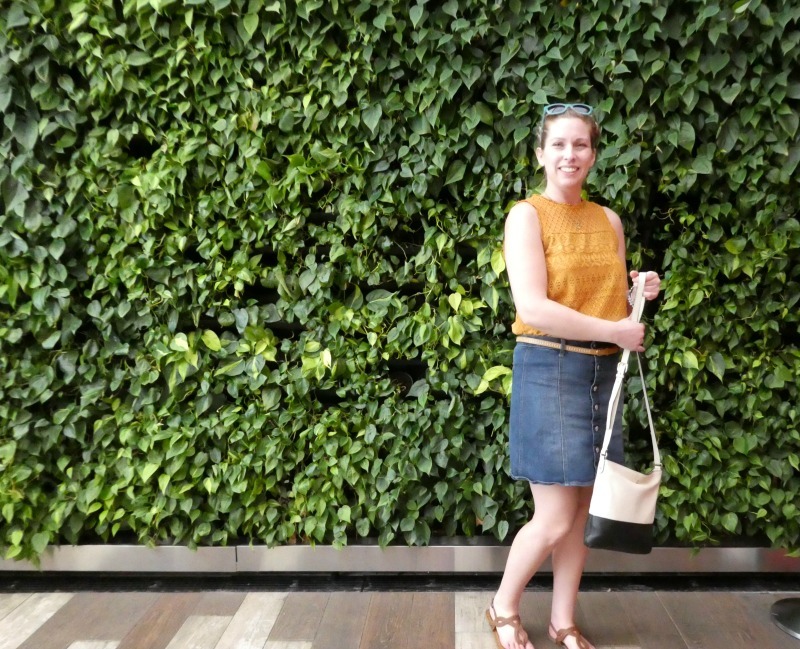 And for where to buy discounted Disney World tickets, TravelingMom recommends Undercover Tourist. We also offer $7 off Mickey’s Christmas party tickets and $8 off Mickey’s Not So Scary Halloween tickets. Will your day trip take you out into the evening? Check the forecast and see if you’ll be needing an extra layer when the sun goes down. Stuff a lightweight jacket in your bag or tie a sweatshirt around your waist to wear when the temperature drops. For more complete packing tips, see the Ultimate Packing List for Family Travelers. 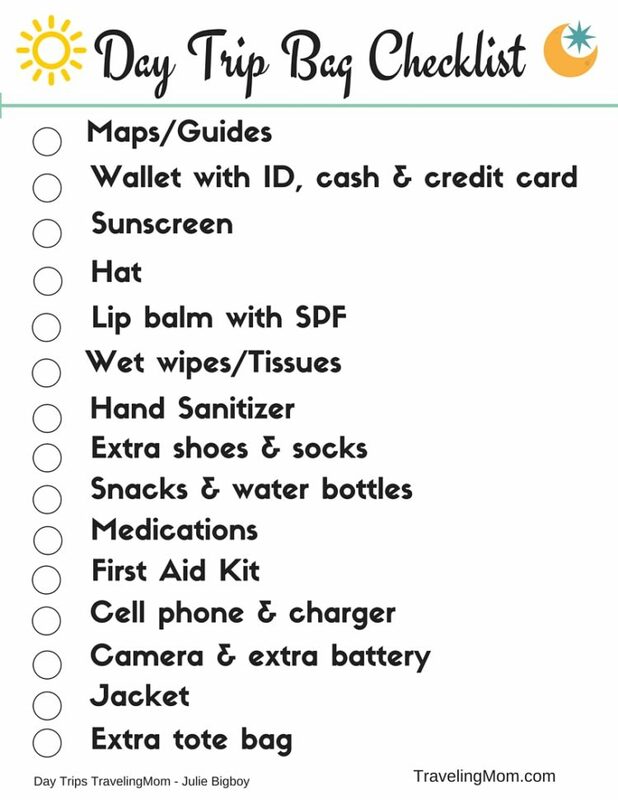 Print out the FREE Day Trip Bag Checklist for your next day trip so you don’t forget anything! Helpful checklist—–I am picturing a rather large bag. Thank you Christine, I’m a fan of delegating different bags. Thank goodness I have big kids that can help with toting supplies! So needed this! We struggle every time we head out for a day trip. We always seem to forget something. Thank you!! You’re welcome Jessica, have fun on your day trip travels! One thing I bring that you didn’t mention is insurance/ AAA CARDS.